Question: How often should I get my air ducts cleaned? Answer: That depends. The EPA suggests cleaning the air ducts of your HVAC system (Heating, Ventilation, Air conditioning) every 1-2 years. And that's about right. 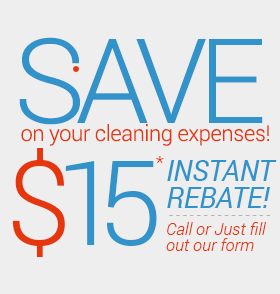 The reasons for getting your air ducts cleaned are first and foremost health reasons. Your air ducts collect dust and debris from the air. Within the dust particles lies microscopic allergens and pathogens, contaminants such as mold particles, bacteria, pollen, pet dander and hair, dust mites and others. Those pathogens and allergens pose a serious health issue they have been linked by various studies with allergies, respiratory problems, unexplained headaches and more. So if anyone in your home is especially prone to allergies or respiratory problems, or suffers from unexplained headaches, you may want to clean your air ducts more often. Sunbird Cleaning Services can really get the dust and any other debris we come across completely out of there. In addition, when moisture level rises, there is a chance of the appearance of mold in the ducts, as well as rodent infestation, both major health hazards. For that reason alone, getting your air ducts looked it every once in a while is never a bad thing. We have the latest video equipment to make the inspection a quick and efficient process. Question: My dog got sick and made a real mass of my favorite rug. Should I even bother trying to get it cleaned? Answer: Absolutely. You should give up on your favorite rug. You'd be amazed at the kind of results Sunbird Cleaning Services can achieve with removal of pet stains and odors, as well as other types of deep stains. The first step is having a rug specialist look at it. We will do that for you, on your premises, free of charge. After inspection of the rug, the technician will confirm that we may indeed get a satisfactory result on it. At that point, we determine what kind of cleaning service exactly is required to get the best result for your rug, (deep cleaning, sanitizing etc.) and whether or not it is required to be removed and cleaned at our factory. For your rug, a factory cleaning is probably in order. But don't worry! We offer free pickup and drop off! Whether you have a high end oriental rug or a simple synthetic rug, we can make it look great again!